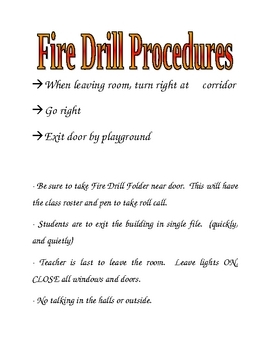 This sign can be displayed in the classroom, or kept in the Fire Drill Folder. You can edit the procedure to match your classroom's needs. It describes the path your class must travel during a fire drill to exit the building.